LONDON -- Famous for his high speed car chases, James Bond is hardly an obvious tree hugger. But the world's best known spy has apparently gone green, with British media reporting on Thursday that he is switching to an electric Aston Martin. 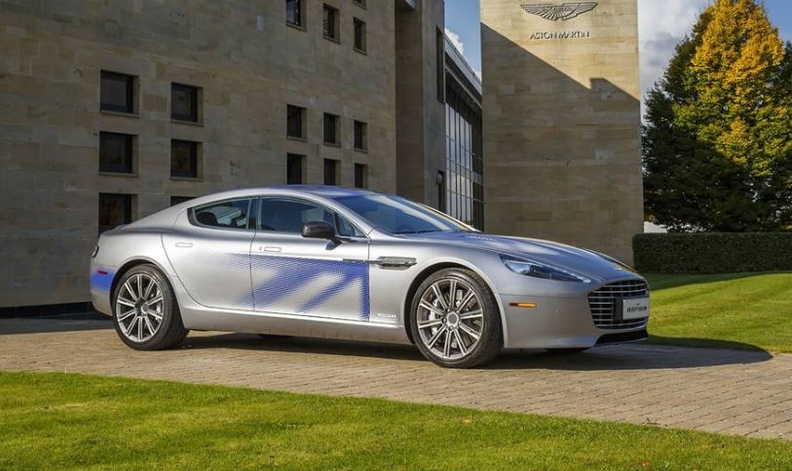 The suave secret agent, played by Daniel Craig, will be taking to the wheel of the automaker's new $330,000 Rapide E, its first electric car, in the 25th Bond movie, the reports said. Aston Martin confirmed it was manufacturing a limited edition of 155 models of the car, but refused to say whether '007' would be driving one in the film due out next year. Britain's Sun newspaper reported that the decision was spearheaded by the film's American director Cary Joji Fukunaga, quoting an insider who described him as a "total tree-hugger." "Everybody is afraid of Bond getting labeled 'too PC' (politically correct), but they all felt the time was right to put him in a zero emission vehicle," the insider was quoted as saying. Fukunaga replaced British director Danny Boyle, who pulled out of the movie last year due to "creative differences." But there is one snag -- range anxiety. Bond may have to find somewhere to plug in after 200 miles.